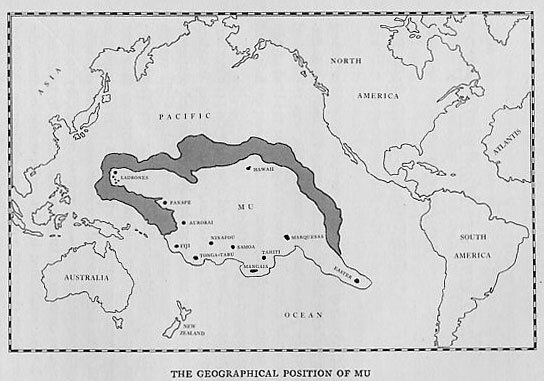 "Mu is the name of a suggested lost continent whose concept and name were proposed by 19th-century traveler and writer Augustus Le Plongeon, who claimed that several ancient civilizations, such as those of Egypt and Mesoamerica, were created by refugees from Mu—which he located in the Atlantic Ocean. This concept was popularized and expanded by James Churchward, who asserted that Mu was once located in the Pacific. The existence of Mu was already being disputed in Le Plongeon's time. Today scientists dismiss the concept of Mu (and of other alleged lost continents such as Lemuria) as physically impossible, arguing that a continent can neither sink nor be destroyed in the short period of time required by this premise. Mu's existence is now considered to have no factual basis."